Wittenberg is in a unique location. It is located at the intersection of Interstate 29 and Highway 45. It is in central Wisconsin and is also centrally located between four larger communities. Wausau is 28 miles west of Wittenberg and Shawano is 30 miles east of Wittenberg. Antigo is 25 miles north of Wittenberg and Stevens Point is 37 miles southwest of Wittenberg. Wittenberg has a lot to offer with its small town charm that is rich in history. The Reverend E.J. 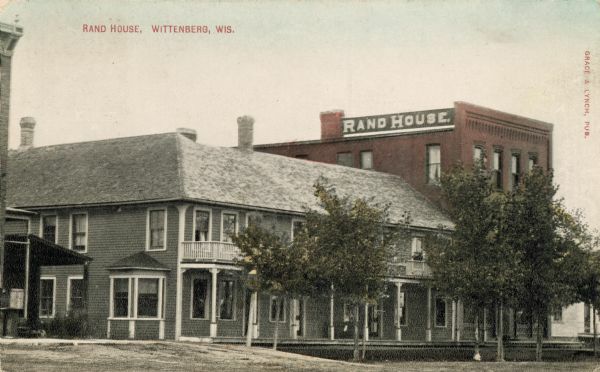 Homme founded Wittenberg in 1879. He also established a home for the aged and an orphanage. The Homme Home for the Aged and Homme Youth and Family Programs are still growing and thriving today in Wittenberg. Along with these businesses is a growing business park that is located east of Wittenberg. Police Protection: Shawano County Sheriff’s Dept.